Lay Leader – offers opening prayer, leads our Covenant. Sign up here! 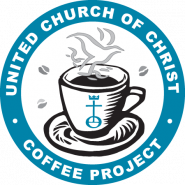 Coffee Hour – prepare coffee and optional refreshments for fellowship following worship. Sign up here! Flowers: provide a flower arrangement to place at the front of the worship area. Arrangements can be memorials to loved ones, commemorations of special events, or just a symbol of God’s love. Sign up here! Sunday School volunteer – teachers and guides needed. Sign up here! By taking part in worship in this way you become part of an ever broadening group of members-serving-members on Sunday morning. Some reading this have already served this year and have experienced the reward that comes from participation. Perhaps you will encourage someone else in your household, younger or older, -or- a fellow member to help lead worship in the future. In addition, there are no rules regarding the frequency of participation. No rules at all. Some of you would characterize yourself as novices while others, experts at the task. It matters not to MCC, we are OPEN in all ways. Pastor Tom has opened his arms to the Lay Leader role making it an increasingly enriching experience. Tom, and one of the deacons can assist Lay Leaders as they prepare and provide guidance throughout. So grab your calendar, check your schedule and pick out a good time to become part of the Sunday worship team. As more folks contribute we share our gifts and the load as we should as Christians. It’s all part of the journey. If you have any questions please speak with Pastor Tom or one of the deacons. The MCC community loves to gather for fellowship following worship. What better way to talk with friends old and new than over a nice cup of coffee or tea? When you take a turn preparing the coffee, you help us provide a welcoming space for everyone to share in the blessing of friendship. If you haven’t done it before, don’t worry: all of the instructions for preparing coffee are posted in the kitchen. If you prefer, we can pair you up with a coffee veteran who can help show you the ropes.